Cork City is a hot-spot for second-hand shopping, whether you want to channel a Downton Abbey heroine in a jewel-crusted evening gown or indulge your inner magpie at one of North Main Street’s excellent cluster of charity shops. Committed thrift-aholics also have the option of delving further into the wider county in search of even more vintage treasures. Mother Jones Flea Market is an excellent option for vintage lovers to while away a few hours, even on a rainy day. This indoor market, open weekend afternoons, is anchored by a group of antique and second-hand sellers stocking an impressive array of pre-loved goodies, from books and records to furniture and kitschy curiosities. All shopped out? Soak up the atmosphere at the market’s coffee shop, there might just be live music from local musicians. One of the biggest and best-known markets in West Cork, Bantry Market is held in the town square where the local historic cattle fairs were once held. As well as the best organic food, gift items and stalls filled with unique arts and crafts, here you’ll find plenty of pre-loved bric-a-brac. The first Friday of the month is traditionally fair day and the best time to visit, when most traders present. The car-park end of the market accommodates those selling second-hand items from their car boot. Skibbereen Farmers Market focuses primarily on fresh produce, but there are also a range of stalls selling antiques, second-hand books and bric-a-brac. Every Saturday at the Fairfield, not far from the West Cork town’s Main Street, this buzzing market comes to life – with more than 100 traders in summertime. Grab a coffee from Red Strand Coffee and listen to some live music while exploring. 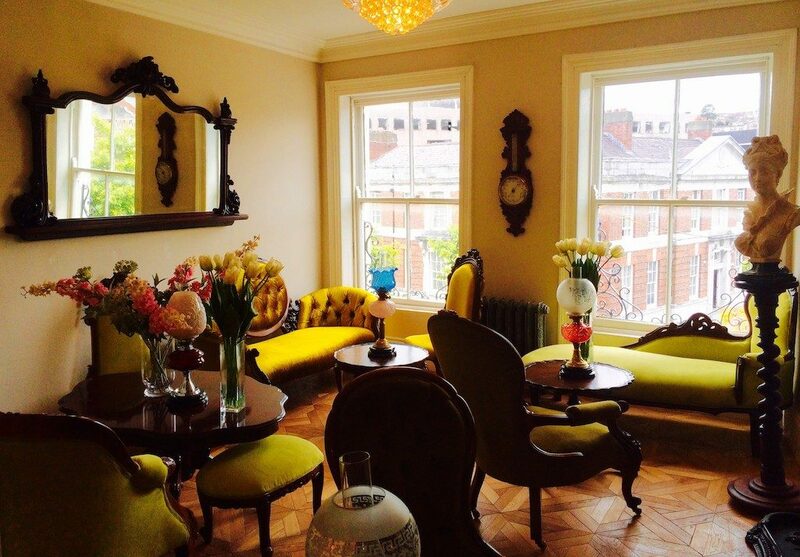 Located on picturesque Market Parade in the city centre, Miss Daisy Blue is an intoxicating immersion in yesteryear fashion. Spanning the 1930s–1980s, the expertly curated stock carries unique, everyday separates to sparkly occasion-wear and has drawn a loyal and devoted local following while also garnering wider attention, having been featured on the RTE TV programme Today. Sherbet-coloured vintage delights are showcased in the most fitting of surroundings replete with luxurious throwbacks, from an intricately detailed staircase to tasselled ropes holding back the velvet curtains in the changing rooms. Miss Daisy Blue also stocks some dapper menswear as well as sumptuous vintage bridal gowns (by appointment only). From a Victorian townhouse on the Coal Quay, Brocade & Lime dishes up Golden-Age glamour in both clothes and beauty – think a one-stop shop for the Audrey Hepburn dress and accompanying beehive and red lip makeover. Here, a small collection of original vintage pieces rubs shoulders with modern yet retro-inspired designer with collections arranged according to the period they hark back to. The themed salon, an homage to ’60s glamour, is tucked away in a courtyard, complete with authentic sit-under hairdryers and theatrically trained beauticians specialising in pin-up looks. With both the salon and dedicated event space, Brocade & Lime offers tailored packages for bridal showers and afternoon teas with vintage-themed treatments – the ideal party or gift for any retro-obsessed friends. For those not afraid of a little rummaging, Cork’s charity shop offerings have cracked the code for successful thrift retail. 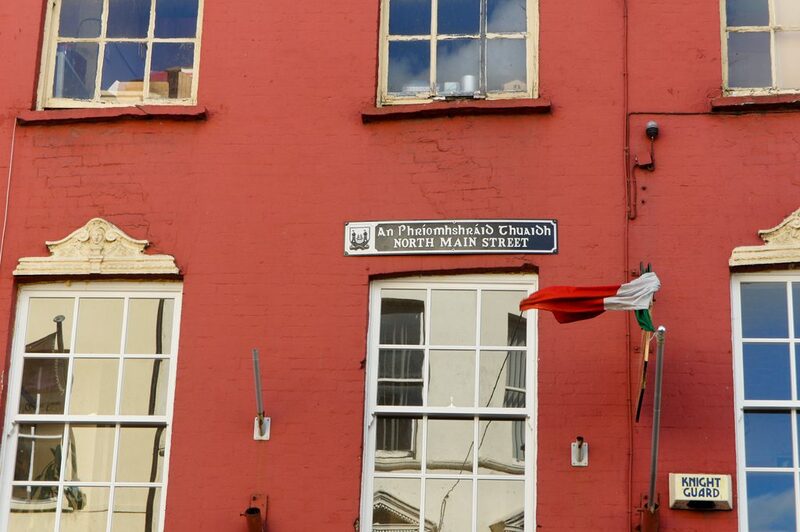 Colourful North Main Street, in particular, is home to a bevy of vintage beauties, all contributing to worthy causes like Concern, Enable Ireland, St Vincent de Paul and the Caring and Sharing Association (CASA). Friendly competition has prompted stores to take their merchandising and window-displays seriously and generous Lee-siders donate often and well, so there tends to be a fresh churn of good-quality stock to pick over. Following the lead of the Irish Cancer Society shop around the corner on Castle Street, customers can now window shop for two weeks before the sale, which are filled to the gills with the best donations and are often designed around a certain theme, with items sold off on pre-specified dates once the anticipation has built. Barnardos Children’s Charity (99 North Main Street) are known to sell off high-end handbags in their fortnightly window sales, and customers often queue up to be the early worm that catches the second-hand tote. One major draw to Billy’s Secondhand Store in the village of Blarney is Billy himself, who customers applaud for his excellent service and friendly manner. The other pull to this emporium of the pre-owned is the wide range of goods on offer – Billy claims to buy and sell ‘almost anything’, and the store’s Facebook page is filled with photos of the eclectic stock, from vintage canvas room dividers to old gas lanterns to electrical goods to solid wood furniture. Find something to love but can’t possibly carry it home? Billy does house calls and can arrange delivery of large pieces. Age Action, a national charity for the improvement of services and policies for the elderly, decided to expand outside of Dublin and Monaghan with open a shop in the satellite town of Ballincollig, just outside Cork City. Opened in 2016, the new store offers a carefully curated selection of vintage and designer clothing, home accessories and furniture, books, records (and record players) and more. Bringing home an item from here means much-needed funds go towards providing vital services and social activities for older members of Ireland’s community. 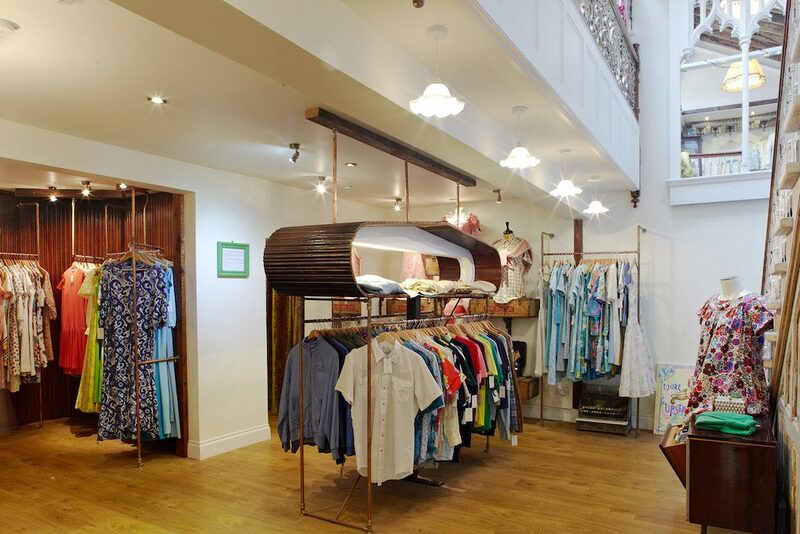 Focus Ireland’s Beloved boutiques stock covetable, new or ‘gently worn’ clothing and accessories for women and children as well as some homewares and collectables. One of only four in the country, the Cork store can be found at Douglas Village Shopping Centre, just a short drive from Cork’s city centre. For every euro spent at Focus Ireland, ¢89 is spent on services for homeless people in Ireland, from prevention action and accommodation advice to short- and long-term housing.